The Wilson Ripper 133 BLX offers an ideal mix of power and control. This racket is a perfect fit for an attacking player who’s constantly looking for a winning shot. Because of the small bridge, the longitudinal strings are slightly longer compared to a conventional racket and the strings can move more freely. During a shot, the extra trampoline-effect gives the ball more acceleration. With the Wilson Ripper 133 BLX you can effortlessly hit good, hard drives and it’s also possible to generate a lot of power with a short swing. This very manoeuvrable racket weighs only 133 grams and the balance is top-heavy. Because the most weight is in the top of the frame, the racket maintains very stable during a shot. Furthermore, the high balance point provides extra racket acceleration during a swing and allows you to hit harder. The frame of the Wilson Ripper 133 BLX is particularly aerodynamic and basically just cuts through the air. The medium racket blade of 486 cm2 and the small openings between the strings ensure unprecedented precision so that you can place every shot very accurately. In the frame of the Wilson Ripper 133 BLX, basalt fibres are woven in the longitudinal direction to better absorb vibrations caused by the impact of the ball. The racket head maintains extremely stable during a shot and the response of the Wilson Ripper 133 BLX is excellent. 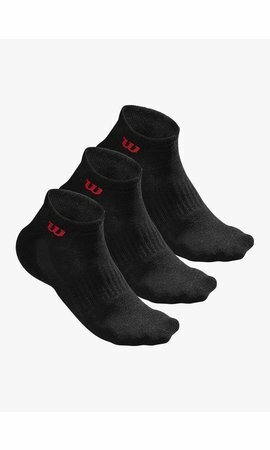 The racket stays firmly in your hand even during the most intensive rallies thanks to the Exact Tack grip, and the Sensation Strike strings provide sublime touch. 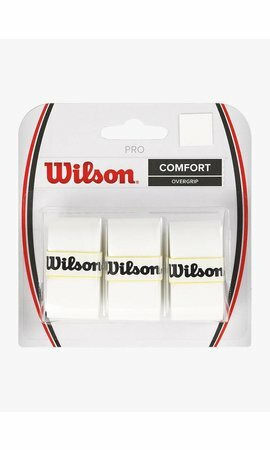 After the game you can safely store the Wilson Ripper 133 BLX in the ½ cover that comes with the racket. A great combination of power and control.